Washington on Thursday accused Russia and the Syrian government of being responsible for “escalating violence” in Idlib province. 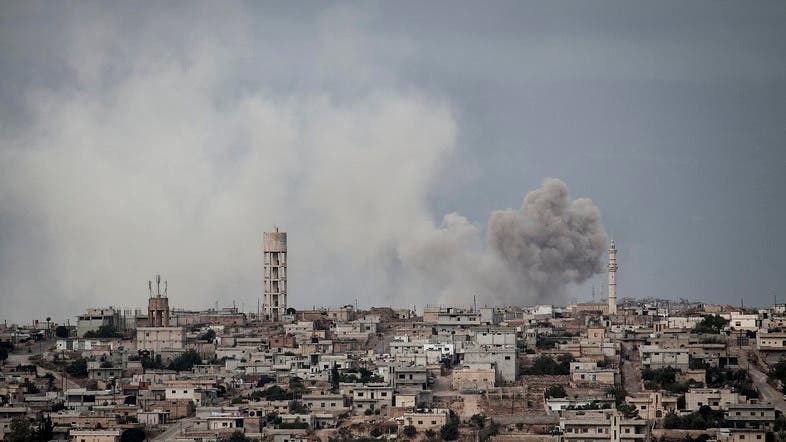 Russian jets on Wednesday carried out air strikes in Idlib, the first such attacks since a September Turkish-Russian truce deal. At least 13 civilians, including six infants, were killed in the raids, according to the Syrian Observatory for Human Rights, a Britain-based monitor that relies on sources inside Syria. “The United States views with grave concern escalating violence in recent days in Idlib and neighboring areas prompted by Russian and Assad regime airstrikes and artillery,” State Department spokesman Robert Palladino said, referring to Syrian President Bashar al-Assad. “Despite Russia’s claims to be targeting terrorists, these operations have caused dozens of civilian casualties and have targeted first responders as they attempt to save lives on the ground,” he added. “These abhorrent attacks on civilian infrastructure and on settlements for internally displaced people must end now.” As a party to the September ceasefire agreement with Turkey, “Russia bears full responsibility for these offensive operations,” Palladino said.